The Bag Factory for hosting the launch, Mjele Msimang at Nzuri Pingendo for the photos, Zoya Mabuto for MCing, Judith Lee at Bayede! wines for the wine, Thembelani and Kgomotso Gantsho for a cash donation, Ithongo for the impepho oils in the gift packages, Megan Nell at Aligning Guidance for smudges in the gift packages, Word ‘n Sound for the sound, Yamkela Sigwilli who managed the book sales, African Marmalade for the vegan fingerfood platters, and Rose Sekgala of Rosie’s Catering who also provided fingerfood platters, Cheeky Natives who hosted a discussion. 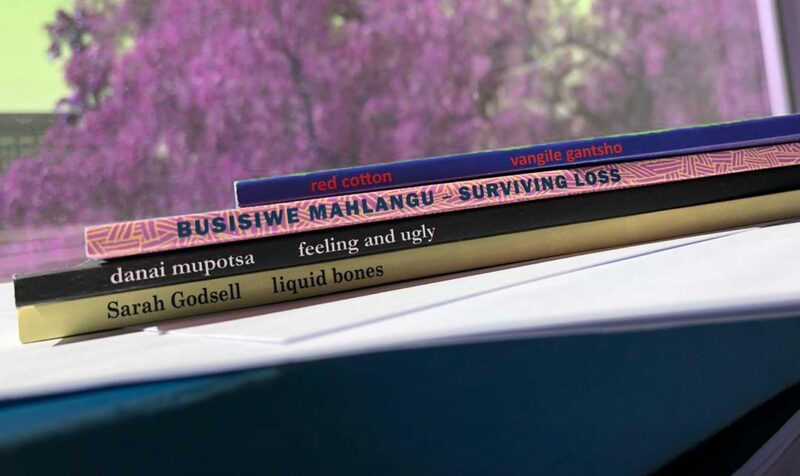 And, always-always, a Big Thank You to the book buyers, each person who bought a book supports these authors and the authors impepho press will publish in the future. We see each book sale as an investment in the current author and also contributes to the future voices we will publish. Appreciated. Click here to see Boipelo Khunou’s photos of the launch. Please feel free to repost the photographs, and when doing so, please credit Boipelo Khunou. Click here to see Fezekile Msimang’s (of Nzuri Pingendo) photos of the launch. Please feel free to repost these photographs, and when doing so, please credit Nzuri Pingendo.